Adam Graphic knows how important logistics is for our clients. Your project isn’t over when it comes off the press. What happens to your printed material after it’s been produced often times determines its success. Does your project mail? – If so we can help you get it delivered on time and maximize your postal savings. Perhaps your project needs to drop to multiple locations across the US or get kitted with other items to reduce freight. Our network of warehouses and mailing facilities guarantees your product gets where it needs to go on time and at the lowest cost possible. 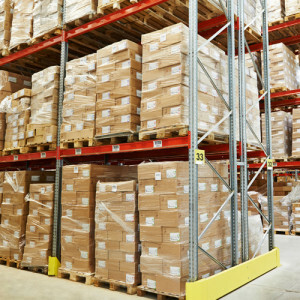 Our network of warehouses gives you the ability to store and fulfillment any amount of items you need from a few cartons of product to hundreds of pallets. All warehoused products can be managed from your desktop with our eCommerce online ordering system SupplySource. With a click of a mouse you can release items, get on hand inventory quantities, run reports, etc. freeing up time and streamlining your ordering process. Doing a direct mail promotion? Our staff is familiar with all the USPS rules and regulations. Contact us for consultation on your next mailing project. We will help ensure your project is within USPS guidelines and you receive the maximum postal discount available. Email us or call us at 508-699-2089 to discuss any of your direct mail and warehousing needs.